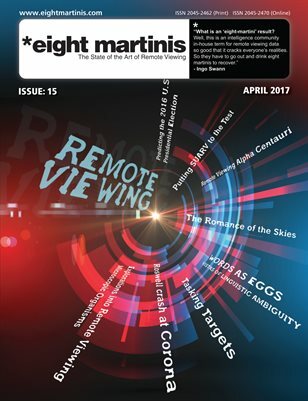 A Round-up of the weeks remote Viewing news & blogs – week ending 19 October 2012. Will a Curiosity Rover Mars Discovery Change the World? COAST TO COAST AM – Remote Viewing Mars. October 15, 2012 – Paul H Smith. Tasking The Customer’s Question Using Neutral Language In Remote Viewing. October, 2012 – Marty Rosenblatt. (Article). Rv target, sessions, analysis & feedback (Forum & sessions). Deviations from Randomness Associated with Collective Attention: Burning Man 2012. Grant Cameron on UFO Sightings and Extended Human Consciousness. The Society for scientific Exploration – FREE pdf magazine. PreviousPrevious post:Remote Viewing news – week ending 26 October 2012.NextNext post:Remote Viewing news – week ending 12 Oct, 2012.